UAE Technician is a leading brand in the domain of CCTV installation, repair and maintenance. Our professionals have profound experience in handling all type of CCTV camera installations without any hassle. With us, you will get state of the art CCTV security systems for businesses, residences and commercial spaces in Dubai. Our specialists will assist you in making the right decision and also will make sure that you get class apart CCTV services. CCTV camera installation Dubai: Our primary goal is to reach a customer satisfaction level where you recommend our CCTV installation service to other users. We believe that only quality services which are budget-friendly and efficient can help us in achieving this. 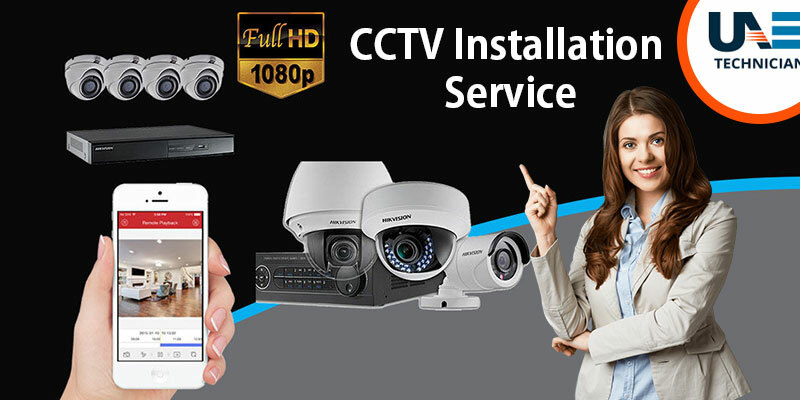 With us, you will get best CCTV camera price in Dubai without compromising quality. By choosing UAE technician as your service provider, you will get best in class solutions with benefits. Following are some of the perks which you can have if we become your service partner. By serving many customers even from far edges, we have become a leading CCTV installation service provider in Dubai along with CCTV repair and maintenance service. Now you don’t have to search for a service centre near your location for any query related to CCTV. With our vast network of service, we have catered various consumers from different locations of Dubai such as Jumeirah Lake Towers, Karama, Midriff, The Greens, Dubai Marina, Sheikh Zayed Road, Downtown Dubai, Jumeirah Beach Residence and Palm Jumeirah etc. No matter where you stay, we will always reach you in time with quality services. Call us today and experience excellence which we deliver to every consumer.